Hello friends and well wishers! Welcome to our website. We are glad to learn your interest to know about us. Grameen Sahara, a development support organization, was set up in the year 2002 and began its journey with development activities focusing on sustainable livelihood. 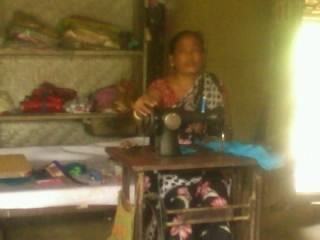 In 2007 Grameen Sahara started microfinance activity in a very small way at Chhaygaon development block under Kamrup district of Assam. We started growing and have disbursed over Rs.1000 millions to 23,000 families in Assam, Meghalaya and Nagaland. We have got a strong committed team both at the head office as well as in the field offices. Grameen Sahara has got quite a few number of development programs on supporting livelihoods, employment, skills, and education. Agriculture based livelihood has been a focus area. Including microfinance it has been able to reach 40,000 families. The development and livelihood programs are carried on by Grameen Sahara which is a not for profit Society. Whereas, financial services are being delivered through Grameen Development & Finance Pvt Ltd (GDFPL) incorporated under Companies Act 1956 and also registered as a Non Banking Finance Company – Microfinance Institution (NBFC-MFI) with Reserve Bank of India. Both the entities share a symbiotic relationship. Intended bottom lines and values are fulfilled through the actions of these institutions. Grameen Sahara and GDFPL work hand in hand to fulfill its mission. Whatever has been achieved would not have been possible without the support and guidance of our lenders, donors and well wishers. We have immensely benefitted by its experienced board who come from diverse fields. The hard work and commitment that our team members have put is highly commendable. Most importantly the beneficiaries and clients are the source of inspiration I take this opportunity to thank all of you including each of the board members, friends, well wishers, clients, beneficiaries and my colleagues for your / their support, cooperation and contributions in building the institution. We look forward for your continuous support and cooperation so that we can continue to keep our commitments to the poor and underprivileged families in the region. Thank you one and all! Hope you enjoyed browsing through our website! To emerge as the most preferred MFI supporting hundred thousand livelihoods in the north eastern part of India by 2018. To Improve the pace and quality of life of the rural and urban poor especially the village and decentralized sector. To Focus attention on the women, children, scheduled castes, scheduled tribes, minorities and other backward communities for economic self-sustenance. To Create, develop and support self employment avenues for the educated unemployed rural and urban youth. To Build social capital that will be used by the community and for the community. To Utilize optimally all the available natural, social, economic and other resources for the well being of the community. » According to Jonathan Morduch, Chair, UN Expert Group on Poverty Statistics, "Microfinance stands as one of the most promising and cost-effective tools in the fight against global poverty." » According to Pierre Omidyar, Ebay Founder and Chairman, "Microloans enable the poor to lift themselves out of poverty through entrepreneurship." » According to Kofi Annan, Secretary-General of UN, "Microfinance recognizes that poor people are remarkable reservoirs of energy and knowledge. And while the lack of financial services is a sign of poverty, today it is also understood as an untapped opportunity to create markets, bring people in from the margins and give them the tools with which to help themselves." » Grameen Development & Finance Pvt. Ltd, the brain child of some likeminded people, believes in similar holistic development of society as depicted above. It is a company acquired by Grameen Sahara in the year 2010. From its inception GDFPL has maintained its philosophy of spreading hope among the underserved and has been quite successful in its endeavor. Our company has a dream to serve all the underserved people of Northeast and India and create such an impact that people use our name as a synonym for microfinance. » We believe that GDFPL would be able to realize this dream by being the catalyst for development and thus create a social impact by enabling the individuals and communities to rise above the restrictive conditions to better their life. Refers to our good-decision making and implementing process, wherein while executing our microfinance programme or any non-financial services we follow the rule of law. Further, our governance is accountable, responsive, participatory, and efficient in reacting to any circumstances related to clients, employees, or other stakeholders. Refers to the ability to do the job properly. At GDFPL our employees possess the knowledge, skills, abilities, and appropriate behavior required in the workplace. This creates value not only for our clients, but also for our investors and other stakeholders. Indicates the clarity of work and work practices at GDFPL, for which we are trusted by our clients and our investors. We are very clear regarding our interest rates we charge from our clients and all others aspects associated with our loans. Apart from this, we maintain clarity and produce all the relevant data and information to the regulatory bodies, Credit Information Bureaus (CIBs), etc. Refers to the trustworthiness and dependable feature of GDFPL. Here at GDFPL our processes of working and decision-making are strong and reliable as it is backed by the knowledge and experiences of experts from diverse backgrounds. Refers to the feel good factor of the clients associated with GDFPL. To ensure client satisfaction, we very strictly follow the codes of conducts being translated by the RBI, and the SROs associated with us. Apart from this we give utmost attention to the grievances of the clients and attend to them as quickly as possible. This has created value for us and our clients as it is evident from our increase in clients, which has grown 377% from 2087 in March 2014 to 9975 in March 2015. JLG loans for working capital needs and income generation. Individual loans for working capital and asset creation for existing business. Insurance (In collaboration with Bajaj Allianz. In short, the Company provides loans to both men and women for meeting their working capital needs and diversifying income sources by taking up livelihood activities and also for up scaling existing businesses through assets creation. It works with poor as well as not so poor categories of people living in both rural and semi urban areas. The following table describes about the different features of the Loan products offered by the Company. Loan Amount:- INR 10000-60000/- in first cycle and maximum INR 10000/- increment in next cycle. Rate of Interest:- Maximum 24% reducing rate per annum. Loan Processing Fee:- 1% of gross loan amount. » Easy and simple process of accessing its services. » Door step delivery and collection of loans. » Less time consuming procedures. » Different repayment schedules for different segments in accordance to RBI norms. » Facilitate need based technical services. Sarat Chandra Das is a graduate in Agricultural Science from Assam Agricultural University and holds a PG Diploma in Rural Development. He is a Certified Expert in Microfinance (CEMF) from Frankfurt School of Finance and Management and an MBA holder from the esteemed IIBM Institute of Business Management. During his 15 years of experiences in the development sector and microfinance management he has been an asset to the associated organizations. He was associated with Rashtriya Grameen Vikas Nidhi (RGVN), Guwahati, for a period of 7 years in its core microfinance program where he worked in various capacities and finally became the operation head. He then associated himself with the industry association - Sa-Dhan, New Delhi with its financial standards group as a senior program executive and worked there for a year and a half. After Sa-Dhan he joined HDFC bank, corporate banking division, and looked after the agri and microfinance portfolio of the NER of India independently for a year. Sri Sarat Ch. Das is one of the promoters of the company, GDFPL. Before joining as the Managing Director of the company, Mr. Das was leading Grameen Sahara - a development support organization running various development projects with professional management teams. In 2002, during his association with RGVN he founded Grameen Sahara and has been successfully managing various development projects. His vast experience in microfinance from field operation management to policy making and strategy formulation has helped the organization in achieving goodwill among the beneficiaries. Presently, Mr. Das is also holding the position of honorary Secretary of Grameen Sahara. Srijib Kumar Baruah has a wide variety of qualifications like M.B.A., LL.B., and Associate Member of Institute of Company Secretaries of India. He is currently the Executive Director of North Eastern Development Finance Corporation Ltd. and represents NEDFi in most of the NBFC-MFIs operating in North East Region. Mr. Baruah has been on board with GDFPL from 2014 as a Nominee Director and brings in with him vast knowledge and experience. His area of experience includes Civil Administration, Accounts, Company Secretarial Affairs, Human Resource Development, Legal & Recovery, Business Development, Consultancy & Advisory and Micro Finance. Dandiram Kalita is a retired banker. After graduation from the esteemed Cotton College, Guwahati, he joined Allahabad Bank and served there for over 35 years. While he was with Allahabad bank he worked in various capacities and retired as a senior manager. During his association with Allahabad bank he also served the PSU Bank Officers’ association as its secretary for several terms. He holds a crucial directorship position in the company, GDFPL and brings in with him extensive experience of branch banking and retail banking. He has been the integral part of the various committees, such as the Audit Committee, Sexual Harassment Committee, Social Performance Management Committee, Grievance Redressal Committee and so forth, formed in the company. He along with the other Directors is responsible for taking various finances related decisions in the company. • Pioneered designing and implementing the process of electronic benefit transfer (EBT) of funds to beneficiaries under Direct Cash Transfer (DCT). • Set up of Rural Skill Development Training Institutes (Rsetis) under the aegis of Ministry of Rural Development, Govt. of India and Financial literacy centers and conducting financial literacy camps across the region. • Developed bank credit model for financing value chain in the eco system of Tea growers in Assam, Strawberry and turmeric growers in Meghalaya, Floriculture in Mizoram and Tripura, Passion fruit , King chilies & turmeric growers in Manipur & Nagaland etc. • Participated in review and policy formulation meetings in rural credit, financial inclusion, SHG bank linkages of Reserve Bank of India, NABARD, Govt. of India and various State Governments. • Implemented Business Process Reengineering initiatives at branches and centralized processing cells in North Eastern Circle as internal consultant to Mckinsey & Co and leader of implementation team for Business Process Re-engineering in the Bank. • Attended as Guest faculty in Institute of Bank Management; National Institute of Rural Development; State Institute of Rural Development, Assam; Assam Administrative Staff College; and NIT Arunachal Pradesh. • Attended Strategic Leadership Development Programme in IIM, Kolkata; Credit Management Programme at State Bank Staff College, Hyderabad; Intensive Technology Development Programme at State Bank Institute of Communications Management, Hyderabad; Neurological Linguistic Programming (NLP), by BIRD, Lucknow & IIBM, Guwahati. • Visited Andhra Pradesh to study SHG movement as a core committee member of NRLM, Govt of Assam along with State and Central Govt. officials. • Visited Bangladesh to study SHG movement by Bangladesh Gramin Bank and interaction with Nobel Laureate Prof Mohammed Yunus, sponsored by NABARD • Visited Germany & Netherlands for Agro business and agro-Processing in Organic farming, floriculture, cold chain and Commercial Dairy Value chains organized by Reserve Bank of India. • Visited Renten Bank and Rabo Bank in Europe, organized by Reserve Bank of India. Mr. Das retired as a Deputy General Manager and Head of Rural & Agri Business and outreach in State Bank of India, Local Head Office, North Eastern Circle, Guwahati. During his last assignment, he had the responsibilities of financial inclusion, SHG bank linkage, development of rural & agri business, lending to MFIs. He also was discharging the role of convener of lead bank in the region and monitored five Regional Rural Banks sponsored by State Bank of India, for the North eastern States. He has got over 35 years of experience with multiple responsibilities. 1. What is microfinance ? Ans. Microfinance is the supply of loans, savings and other financial services to the poor. The term “micro” is in reference to the small amounts typically involved in the practice. These services are small – “micro” – because a person who does not have a lot of money most likely will not need a loan of several thousand dollars. However, a loan of a few hundred dollars may make a huge difference in their lives, giving them the ability to purchase livestock for a small farm, a sewing machine to help make accessories and clothes, or supplies for a small store, for example. The poor throughout the developing world frequently are not part of the formal employment sector. They may operate small businesses, work on small farms or work for themselves or others in a variety of businesses. Many start their own “micro” businesses, or small businesses, out of necessity, because of the lack of jobs available. 2. What is a microfinance institution ? Ans. A microfinance institution (MFI) is an organization that provides microfinance services – loans, savings, maybe even insurance – to the world’s poor. An MFI can operate as a nonprofit such as a non government organization (NGO), credit cooperative, non bank financial institution (NBFI), or even a formal, regulated for profit bank. MFIs differ in size and reach; some serve a few thousand clients in their immediate geographical area, while others serve hundreds of thousands, even millions, in a large geographical region, through numerous branches. 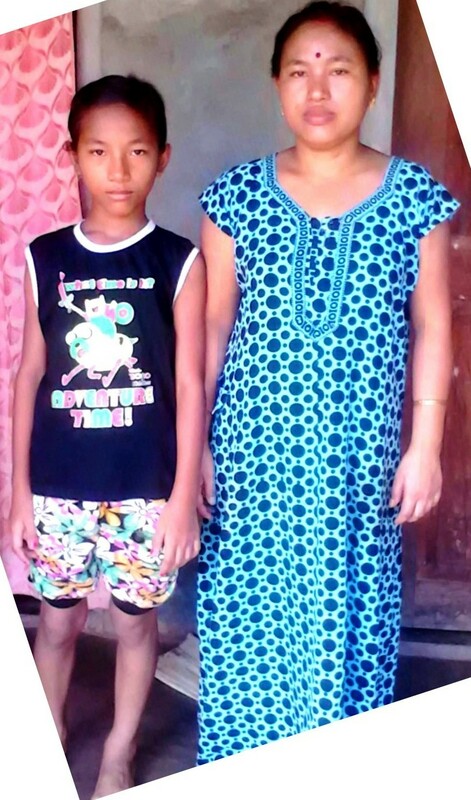 Many MFIs offer services beyond loans and savings, including education on business and financial issues and social services focused on health and children. 3. Why don’t poor people just use traditional banks? Ans. Poor people in developing countries usually do not qualify for any type of services from the formal banking sector: they typically have no credit history, and most are not employed in the formal sector, so there is no record of employment. Moreover, they are unable to provide collateral. And in many parts of the world, opening a savings account at a traditional bank requires a certain amount of money be deposited, and poor people, although statistically excellent savers, do not have the large sum of money required to open a savings account. Yet, people living in poverty, like everyone else, need access to a diverse range of financial services to help run a small business, manage risks, and plan for a more stable future.